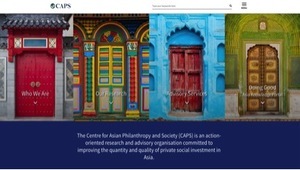 The Centre for Asian Philanthropy and Society (CAPS) is a Hong Kong based research and advisory organization that identifies and disseminates best practices, models, policies, and strategies that can contribute to positive system change in the social investment sector across Asia. 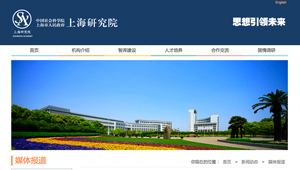 The Tsinghua University Institute for Philanthropy is a national-level think tank that was jointly established by the Ministry of Civil Affairs and Tsinghua University. 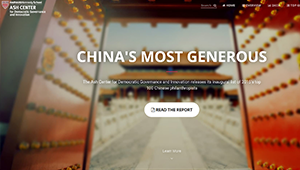 The Institute is committed to becoming a leader in philanthropy research and creating a hotbed for China's future philanthropic leaders. 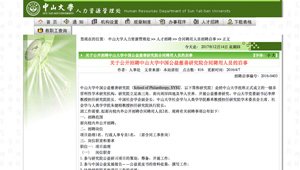 School of Philanthropy, Sun Yat-sen University (SYSU) is a non-profit academic research institute formally established by Sun Yat-sen University. 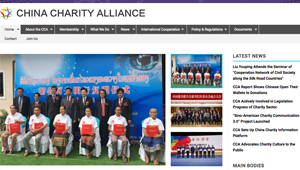 The Shanghai Academy Contemporary Philanthropic Research Center is a think tank that was jointly founded by the Shanghai Charity Foundation and Shanghai Academy in 2017. It is committed to the long-term development of China's modern philanthropy through the strengthening of modern philanthropy theory, personnel training, consulting services, as well as through facilitating inter-institutional cooperation and exchanges. 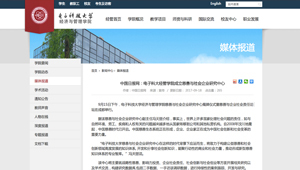 The East China Normal University Institute of Philanthropy and the East China Normal University Zijiang Philanthropic Center were established on January 12th 2017 in cooperation with the Shanghai Zijiang Public Welfare Foundation. The institute will be involved in the development of philanthropic research, personnel training, policy consulting and facilitating academic exchanges and cooperation. 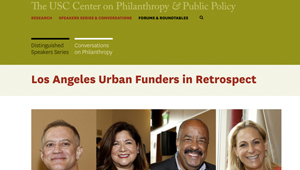 The Center's main focus is conducting research and holding academic exchanges in the areas of strategic philanthropy, influential investment, corporate social responsibility, social innovation and social entrepreneurship. One of its objectives is to build a research database which will include data based on first-hand interviews, independent research and ongoing case study tracking. 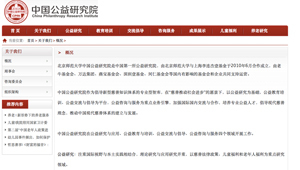 The Beijing Normal University China Public Welfare Institute is the first public welfare institute in China. 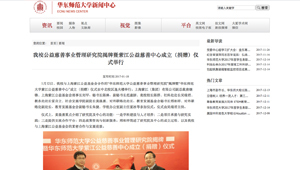 It was established by Beijing Normal University and Shanghai Jet Li One Foundation in June 2010 and is supported by the Lao Niu Foundation, Wanda Group, Yan Bao Foundation, Shenzhen One Foundation , Heren Foundation and other influential domestic foundations and enterprises. The China Public Welfare Institute conducts its work in four areas: public interest research and application, public welfare education and training, public interest exchange and advocacy, public consultation and service. Global Leaders in Philanthropy Program which will pursue a number of research projects -- including China's Most Generous, and a host of other research variables related to philanthropists and recipients. The Center will also convene a philanthropist workshop and an executive education program for foundation staff to disseminate the findings of such research. 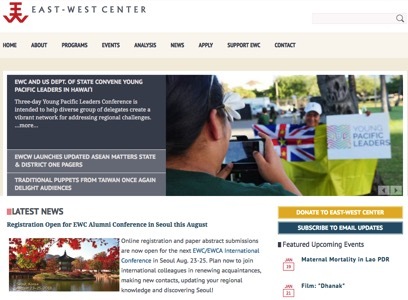 Funded by the California Community Foundation, The William and Flora Hewlett Foundation, The David and Lucile Packard Foundation, The Parker Foundation, The Ralph M. Parsons Foundation and the Weingart Foundation. 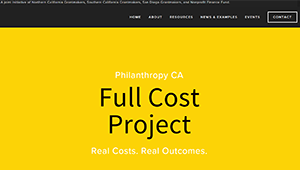 A statewide project, The Real Cost Project (now “Full Cost Project”), in partnership with Northern California Grantmakers and San Diego Grantmakers, explored how best to support grantmakers in developing new grantmaking practices based on what it really costs nonprofit organizations to deliver outcomes. 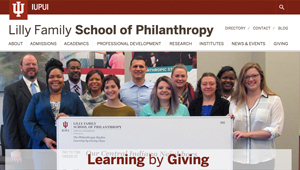 The Indiana University Lilly Family School of Philanthropy seeks to increase the understanding of philanthropy and improves its practice worldwide through critical inquiry, interdisciplinary research, teaching, training, and civic engagement. 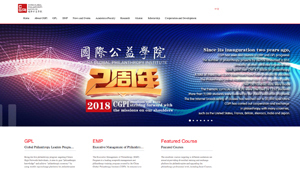 China Global Philanthropy Institute was founded by five Chinese and US philanthropists, Bill Gates, Ray Dalio, Niu Gensheng, He Qiaonyu and Ye Qingjun. The institute is committed to building a knowledge system supporting the development of philanthropy in China and the world, and creating a professional think tank to lead the philanthropy development and promote the formation of a new philanthropic knowledge system. 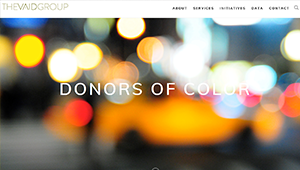 A landscape analysis to understand high net worth (HNW) donors of color, e.g. their priorities, interests and experiences. The POC Donor Collaborative over the next two years, including interviewing 100 individual HNW people of color.